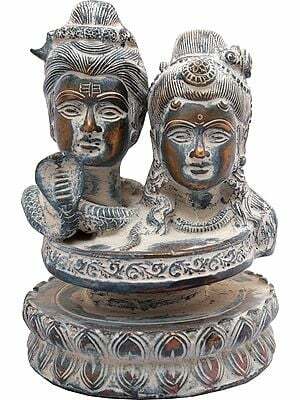 Shiva is an ancient god, as old as civilization itself or perhaps older. He was first realized the day man accepted the cosmic truth: to create, one must first destroy. 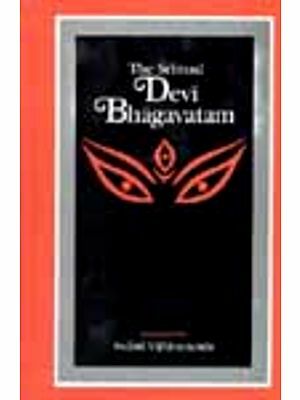 Shiva is a god of paradoxes: he is the promiscuous god who is also the celibate yogi practicing austerities in the Himalayas. 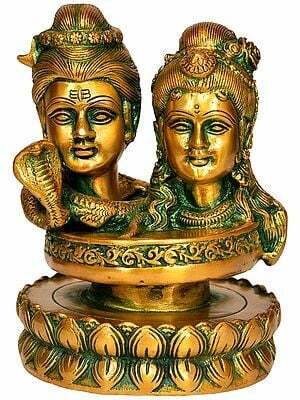 Sitting in deep meditation on a tiger skin, Shiva is seen here with most attributes associated with him. Prominently seen around his upper body are snakes, slithering down his body, reflecting his absolute renunciation, his refusal to react or respond to any threat or temptation. Like a typical sanyasi, Shiva carries a kamandalu, a water pot, for his rituals and ablutions; and a rosary to assist his concentration. 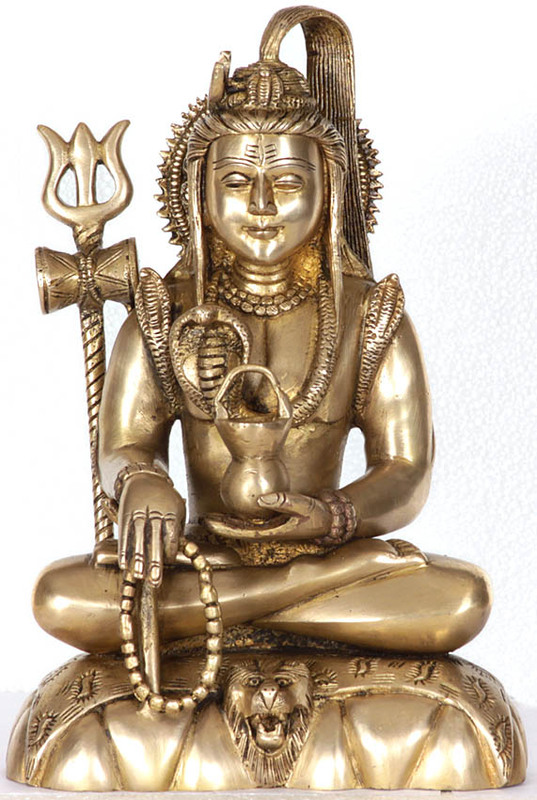 While meditating, Shiva sits cross - legged, resting his arm on the yoga-danda. A crescent moon adorns his hair, out of which flows a steady stream of Ganga. Strings of rudraksha beads hang on his neck and wrists. 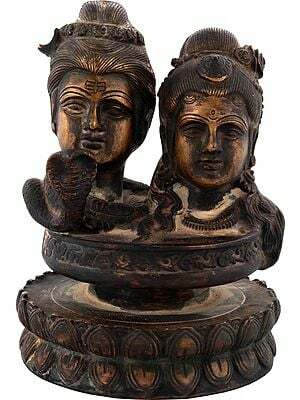 Next to the meditating figure stands his trishula and damaru. 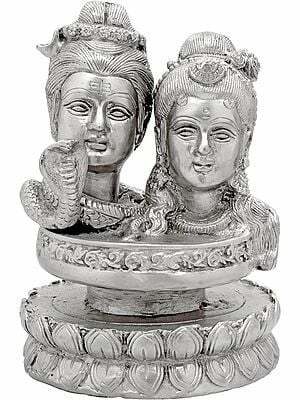 The three prongs of the trident are said to represent the trinity of Brahma, Vishnu and Maheshvara. The drum is emblematic of the pristine rhythm of cosmic creation and dissolution. 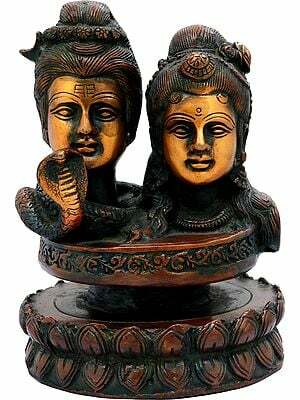 Together with all these attributes calmly sits Shiva, with a smile on his lips.